These classes provide a nurturing pre-school environment for your child. Our state of the art facilities are kid-sized and run by highly trained instructors. Classes are designed to increase physical strength, develop motor skills and channel all of their energy! Children are divided into groups based on age, maturity and skill level. Classes will boost their self-esteem and self-confidence through our positive and encouraging teaching techniques. This is a 45 minutes class for the babies to start exploring our gym. They will start climbing, focus on taking some steps, bouncing with a parent on the trampolines, instruments, bubbles and fun music! 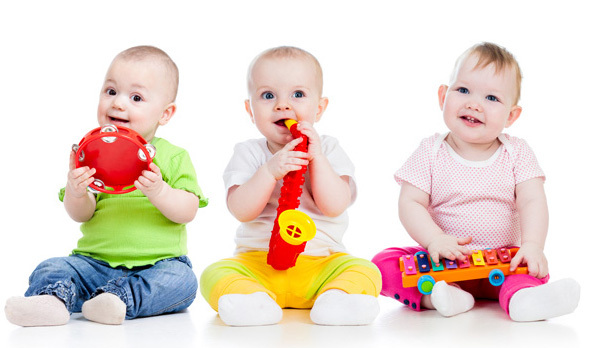 This class is made for parent and baby to play in a safe and fun environment! Contact the office for more details! Parents assist their children through various skills on our preschool gymnastics equipment. You’ll be right there to cheer on your little one and celebrate every achievement.Studies show that exercise at this age helps stimulate motor skills, acquire reasoning skills, increases your child’s attention span along with social development. Children will be exposed to a variety of other children in a fun, supervised, social setting. For most children, this is the first time they learn to take turns, share and follow directions. It’s a great way to prepare your child for school. This is a 50 minute class that ends with 10 minutes of free play where parent and child get to go on any event they choose to practice what they learned from class. An introduction to the structure and discipline of preschool and gymnastics classes. This class creates a safe environment for your child to jump on trampoline, climb on rock walls, zoom down slides, and hang on bars. Classes will include a small portion of structured gymnastics and a large portion of fun, games, music, and open play. Watch your child grow to love physical activity and see their attention span develop more and more each class. Activities will include bubble time, parachute fun, foam pit games, belt flying, and much more! This class is a great opportunity for parents to bond with each other and their children. This 55 minute class teaches basic gymnastics integrated into a fun game-like environment this class introduces parental separation fostering independence and self-esteem. Every class starts off with a musical warm up and stretch to motivate and introduce gymnastics. Children will be taught two Olympic events such as beam and bars long with various jumps on trampoline. Every week the children learn new skills including cartwheels, handstands, forward rolls, backward rolls, jumps, vaulting and more. Through these exercise’s they’ll gain strength, balance, flexibility, coordination and self-esteem. Get some friends together and have your next playdate at Gold Medal Gymnastics Center. Enjoy a supervised open play atmosphere on our state of the art equipment. Ask our office for details.